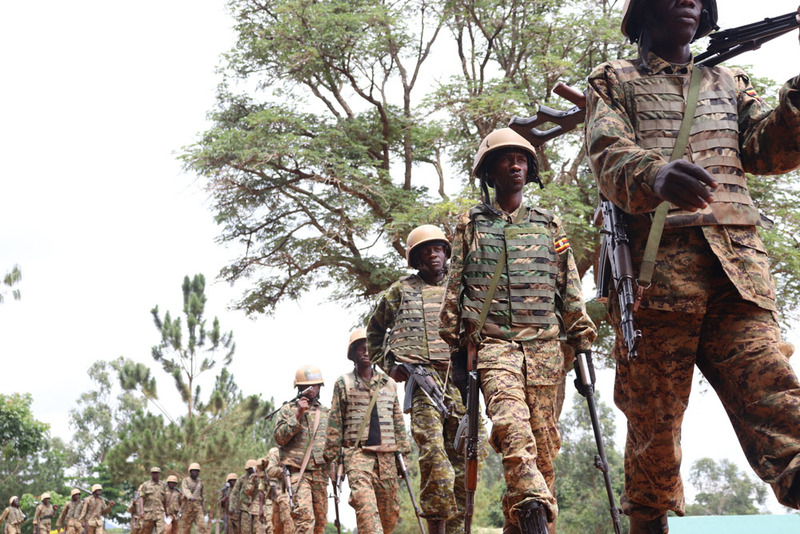 The Uganda People’s Defence Forces (UPDF) through their spokesperson Brig Richard Karemire have refuted media reports that the Forces are stuck in Somalia over underfunding and logistical deficits. Daily Monitor, Monday reported that the army have collapsed their forward operating bases and cannot launch attacks against Al-shabab. However, Brig Karemire dismissed the report saying it gives an incorrect impression that the mission is off course. Karemire said that despite a few challenges, the Force will continue battling the enemy. “The UPDF is certainly not stuck in Somalia. Today’s headline in the Daily Monitor gives an incorrect impression. Despite some challenges and which are being addressed, the AMISOM remains on course and significant successes have since 2007 been achieved,” he said. “As Pan Africanists, UPDF will remain engaged. It would be tragic, not least for the long suffering Somali people if the gains and sacrifices of the last decade were reversed because the international community was unable to provide adequate and predictable funding. We shall handle the challenges without abandoning the people of Somalia,” he added. While, officiating the meeting of Chiefs of Defence Forces of Troop Contributing Countries (TCCs) to the AMISOM at Speke Resort Munyonyo in February, UPDF chief, Gen Muhoozi called upon TCCS and AMISOm partners to mitigate the enormous challenges they face in Somalia amid the enormous terrorist threats and piracy. Citing challenges like lack of enough Force Multipliers, limited commanders and troops on the ground, and lack on enough skills from the Somali National Army (SNA), among others; Gen Muhoozi re-echoed his position to all TCCs to AMISOM to identify challenges that can help draw a line between the mandate of the mission and the required funding. Meanwhile flagging off of soldiers under UGABAG 24 at the Singo Peace Support Operations Training Centre in Nakaseke District in April, Gen Muhoozi said on many occasions the public has watered down the presence of the Ugandan army in Somalia. He said that despite the challenges, he is glad the Ugandan army is fighting the enemy from far. “No one can shoot down the gains from Somalia and similar missions. The image of the county is now in good books because we made the mission feasible for countries that feared to deploy. We have triumphed where Americans failed. The world has now known that the mission is doable,” he said. Asked about Uganda’s withdrawal from Somalia, Gen Muhoozi said it would be watering down the gains achieved in the past few years by the AMISOM troops if they are withdrawn at this stage.